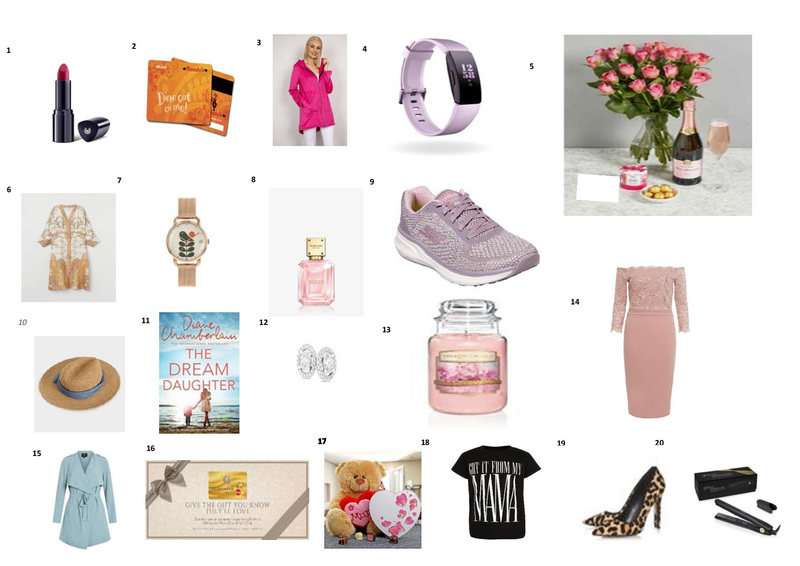 With just one week until Mother’s Day you still have plenty of time to get prepared for your ‘Mammy’ at Whitewater Shopping Centre. With over 70 stores to choose from including Debenhams, Marks & Spencers, Zara & H&M you will be spoilt for choice. Sixteen eateries now including Milano, Nandos, , Chopped & Fujiyama on the Avenue as well our delightful food court and a six screen cinema make Whitewater the ideal destination to spend time with your Mum. If you simply can’t decide what to do why not opt for a Whitewater Gift Card so your Mum can choose herself! On this very special Sunday we will have a pamper corner where your mum can enjoy a complimentary massage ! 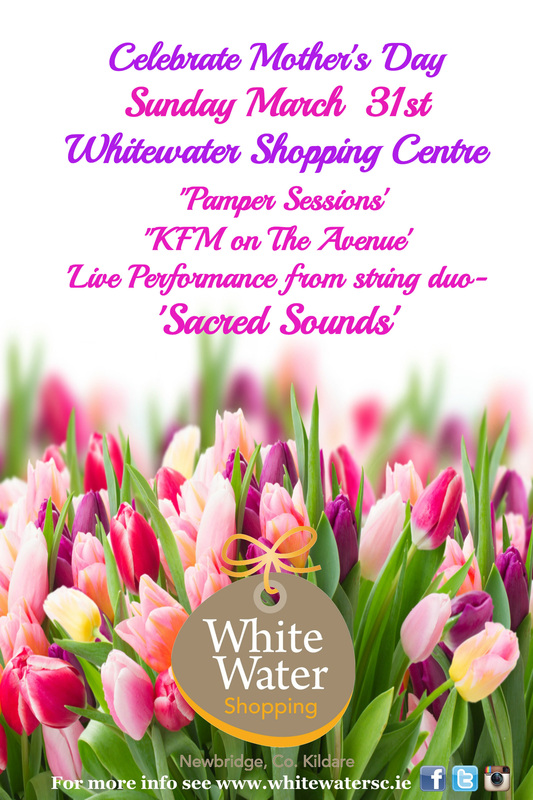 Or simply relax & enjoy a coffee while you listen to the wonderful string duo ‘SACRED SOUNDS’ or pop out & say ‘Hello’ to the team from KFM on the Avenue ! Commenting on Mother’s Day , Whitewater Centre Manager Ingrid Ryan noted:- “We all appreciate our mothers and all that they do for us. We hope that every Mum is made to feel special this weekend .This is the perfect opportunity to say thank you and show how much you care.A bunch of flowers, chocolates, perfume or a fabulous outfit-every purse is catered for here in Whitewater- after all ,it’s the thought that counts ! 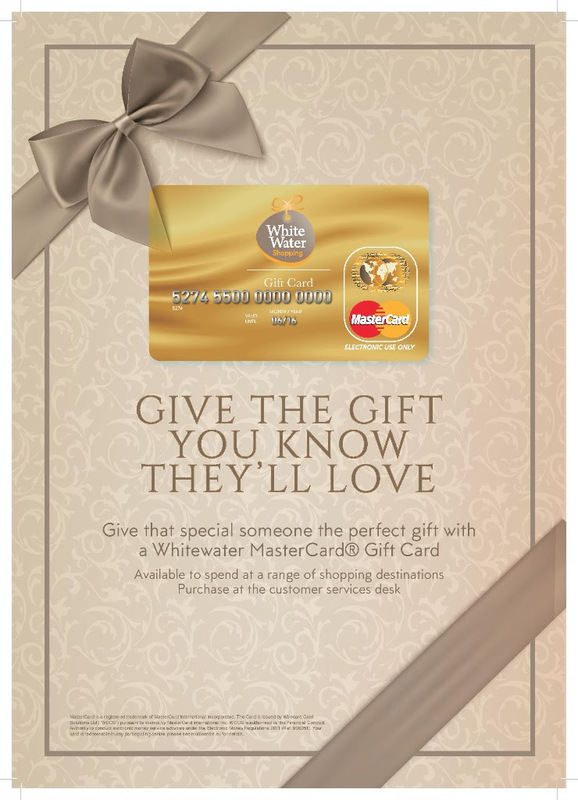 A Whitewater gift Card for the gift you know they will love! Perfect if you are short on time.